If you’re a young worker, it’s important that you know your workplace health and safety rights and obligations. Your manager must give you appropriate training, supervision, information and equipment to ensure you can work safely. You should speak up if you think you could be hurt at work. We want you to return home to your family and friends injury-free every day. 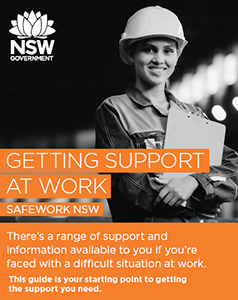 The facts are, more than 15,000 young people aged up to 25 years old in NSW are injured at work each year. While some injuries may only have a short-term impact, others are irreversible and life-changing for you, your family and friends – just watch these real stories below. Even if it is minor, your injury may prevent you from doing something important to you – such as playing in your football grand final, having a weekend away with your friends or going on a holiday that you’ve planned for months. Joany was just a child when she lost her left leg below the knee following a tractor accident on her family's farm. At 18, Tiffany Ward was severely injured at work when both of her arms were caught in a potato processing auger. Hear about her battle to live with the physical and emotional consequences of her injury. 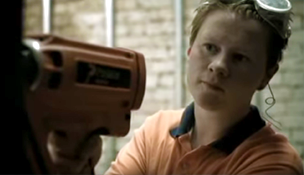 Tim was a second-year electrical apprentice when he was involved in a fatal incident. His story highlights the importance of adequate supervision and guidance for young workers. 3. Could it hurt someone? It doesn't matter if you are on work experience or a job placement, or employed on a full time, part time or casual basis, you have the right to a safe and healthy workplace. By law, your employer must equip you with the right skills, knowledge and equipment to keep you safe. You’re also entitled to fair pay and conditions, a fair and just workplace, to receive workers compensation, and to speak up if you have concerns. comply with any reasonable instructions, policies and procedure given by your employer, business or controller of the workplace. chemicals are handled and stored safely. leading by example and promoting health and safety at every opportunity. If you are not sure if a task is safe to do or if you don’t know how to do it safely, the most important thing is to stop and ask someone about it. Watch this video about what young people say about what to do when you're unsure. Don’t be embarrassed if you need to ask more than once. Some tasks are complicated and it can be easy to forget every step – particularly if you only work one shift each week. Your supervisor or a senior worker should demonstrate the correct safety procedures for you and supervise you when you perform the task for the first time to make sure you’re doing it correctly and should continue to check in with you. Q: I’m sick but I’m scared to say I can’t go to work, or I don’t want to because I want the money. What should I do? A: If you are feeling sick or unwell, you should always try to call in sick. If you are unwell (eg you are tired, drowsy, nauseous, or in pain) you will not be able to do your work as well as usual. This can be a WHS issue, especially if you operate any vehicles or machinery, or work at heights. You also risk infecting your colleagues, which can worsen the WHS issue. If you are a casual worker and don’t want to sacrifice your pay, you can try to organise a make-up shift or swap shifts. Even if you are a causal you may still have entitlements depending on if you have a registered agreement, award or employment contract. Q: The person training me doesn't seem to know the safest ways to do things. Should I be doing the job, even though I don't think it's the right way? A: No. If you feel that you're not able to do a task safely, don't continue with it until you have received proper training or help. Ask a more senior staff member or your manager for help if you don't think you're being shown how to do things the safest way. If you've got a Health and Safety Representative (HSR) at work, let them know about the problem. They may be able to help organise some more appropriate training for you. use required personal protective equipment. 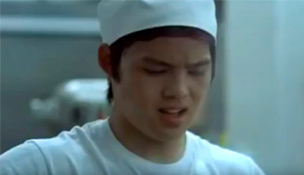 Josh is asked to remove a hot pot off the stove, but doesn't know how. Nadia is using he bread slicer for the first time. She's self conscious and doesn't want to ask how to use it, but she should have. If you notice a safety hazard in your workplace, or you are concerned that safety practices are not being followed, you should talk about it with your supervisor, employer and/or health and safety representative straight away. This will allow them to assess the hazard and either remove it or implement procedures to minimise the risk. If you work through a labour hire agency, you should report your concerns to the agency and the workplace. If you’re on work experience, you should speak to your teacher or trainer about your concerns. You could also speak to an adult you trust, family member or a more experienced worker. Q: Can I still complain about health and safety risks if I’m a volunteer? If the organisation you are volunteering for employs any paid workers, it is considered a PCBU (person conducting a business or undertaking) and has WHS duties to all its workers, including its volunteers. In this situation, you have all the same WHS rights as a worker. A volunteer association that has a community purpose and doesn’t employ any paid workers is not a PCBU and so is not subject to the PCBU duties under WHS laws. However, it is still worthwhile to bring up any concerns you have about WHS with other volunteers so that they can address them. If you get hurt at work, the first thing you should do is go to a doctor or hospital to get medical treatment for your injury. You also need to let your boss know what happened as soon possible so that they can record it. Depending on the severity of your incident, you may also be entitled to compensation. Workers' compensation is a form of insurance payment to employees if they are injured at work or become sick due to their work. Workers' compensation includes payments to employees to cover their wages while they're not fit for work as well as any medical and rehabilitation expenses incurred from the injury. Find out what these young people think about injury and recovery at work. Tell your employer as soon as possible after a work-related injury or illness. You can also get their insurers details and tell the insurer directly. Your employer must then notify the insurer within 48 hours. The insurer will contact you within three to seven days to talk about the next steps but you may also contact them yourself. You (and your employer) may need to provide information to the insurer such as payslips, medical appointment details, etc. If you can't return to your pre-injury role within seven days, you will need to nominate a treating doctor to manage your injury. This is usually your GP. They will need to complete a certificate of capacity for you to sign and give to the insurer so you can receive weekly payments. If you are eligible for weekly payments, the insurer will make a work capacity decision to determine the amount. This is calculated using your pre-injury average weekly earnings as a basis. For a detailed explanation of workers compensation and how to make a claim, visit the State Insurance Regulatory Authority (SIRA) website or call them on 13 10 50. If someone else experiences a serious injury, death or dangerous incident at work, it must be reported to us immediately 13 10 50 as an urgent investigation may be needed. This step should be taken by your boss or supervisor but if you don’t think they have contacted us, you should call us yourself. Incidents can be notified 24 hours a day, 7 days a week. Violence, fatigue, bullying, stress, work and school pressure, a poor work environment or a truamatic event can cause mental health issues. 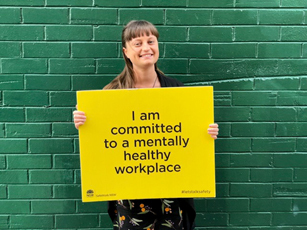 Mental health, just like physical health, is an important part of work health and safety. Find someone you can talk to… venting and letting go of that emotional load helps. I learned mindfulness, which is a really useful tip for when you’re stressed. Q: Do I need to tell my employer about my mental illness? A: There is no right or wrong answer when it comes to telling your employer about your mental health. Whether you choose to tell others can depend on how much your condition affects your role, the amount of support you have outside the workplace, and your relationships with your colleagues. If you want to mention your mental illness to your employer so that they can arrange suitable adjustments for you, you can. What does the average 18-25 year old know about coping with mental illness at work? Find out what these young people think about disclosure and accommodating mental illness in the workplace. Q: I'm experiencing poor mental health, who can I talk to for help? Provides information and support about anxiety, depression and suicide to young people aged 12–25 years. Call 1300 22 4635 or chat online (3pm – 12am) or email. You can also join their online forum to talk about issues more generally. And they have a great Check in app for anyone who wants to check in with a friend but is concerned about saying the wrong thing or making the situation worse. Provides 24 hour crisis support and suicide prevention services. Call 13 11 14. Its website has the Lifeline Service Finder - a directory of free or low cost health and community services available in Australia. Provide access to health workers, e.g. GP, psychologist, social worker, at no or a low cost. Call 1800 650 890 or find a centre near you. If you don’t have one nearby or you don’t feel ready to visit one, eheadspace provides confidential support between 9am and 1am daily. Has fact sheets, forums, professionallly reviewed mobile apps and tools and other resources designed specifically for young people. Bullying - What can I do about it? Find out what these young people think about bullying. Bullying is repeated and unreasonable behaviour directed towards a worker or group of workers that creates a risk to health and safety. Q: Bullying - who can I talk to? If you need help, it’s important that you know who to contact for your situation. Headspace on (02) 9114 4100 – a national youth mental health foundation that helps young people between 12 and 25 who are going through a tough time. Contact the Fair Work Commission if the issue is about unfair dismissal or unlawful termination. Contact NSW police if the issue involves physical violence or the threat of it, or contact us if it involves work-related violence. If you think we are the right agency to contact, read our service standards and complete the workplace bullying form – or call us on 13 10 50 for more information. If you believe you have been bullied at work, you may be eligible to apply to the Fair Work Commission for an order to stop the bullying. Q: Sometimes I get verbally abused by customers at work. What can I do about it? A: You should always notify your boss about any safety concerns you have about your workplace. Abuse from customers, both verbal and physical, is a work health and safety issue and it is your boss’s responsibility to protect you from it as much as is reasonably possible. Bring up any incidents with your boss and ask them if there is anything they can do to prevent these issues, as well as if there are any procedures you should be following if a customer abuses you and ask if there is any training you and your workmates could undertake to help deal with aggressive customers. You can print out this guide and keep it handy. It includes a range of information you’re faced with a difficult situation at work. This guide is also available in: Arabic, Chinese (simplified), Filipino, French, German, Hindi, Italian, Korean, Malay and Vietnamese. We’ve created six interactive diagrams that will show you some everyday safety hazards and how to avoid them in the workplace. Can you find them all? Safety information for retailers including online and some repair services such as jewellers and watchmakers. Key safety information for hotels, motels, pubs, cafes, restaurants and taverns. Key safety information for office administration as well as services such as cleaning, pest control and gardening. Key safety information for hospitals and medical services as well as social assistance services like child care and counselling. Key safety information for manufacturers operating plants, factories or mills.